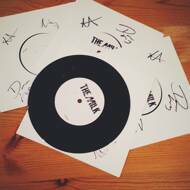 Hand stamped, one-sided, hand numbered, signed vinyl. Only 100 copies. Very limited.